The announcement of the coming of Jesus: “Glory to God in the highest, and on the earth peace to men on whom his favour rests.” (Luke 2:14) Jesus came to bring and restore peace. Jesus came to restore Shalom. We see the perfect example of this Shalom in the relationship within the Trinity. The relationship between Father, Son and Holy Spirit is one of perfect harmony, of wholeness, of joy. The Trinity exists in perfect love. When God created the world, it was to express this love and with the intention that the whole of creation participates in this love and in this Shalom. Shalom: life in all its fullness, free of poverty, injustice and conflict; this is the goal of transformation. This is the goal of our shared mission that God has called us to. We are called to be people of Shalom. 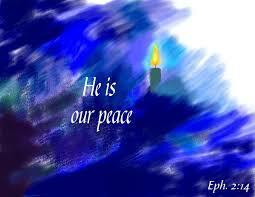 Jesus is the peace bringer and his reign is one of Shalom – he rules with peace. We are called to manifest this peace. The Shalom of God is to flow through us. How do we do this in a world so obviously escalating into violence? As we read Scripture we see that we are called in be transformed through the renewal of our minds and we need to take every thought captive. This points to the need for us to examine our hearts and minds and take action against every thought and imagination that has violence, revenge, hatred or prejudice in it. In fact we are told we should not even call someone a fool and instead we need to actively, each day and moment by moment clothe ourselves with love. Every hostile thought becomes a block and stops us being a conduit for God’s love and peace. We need to let the peace of God reign in our hearts so that we in turn can be peace bringers. Watching the news shows us the reality of rebellion and hatred and we need to react strongly against this by bringing it all to Christ so that the peace of God fills our hearts and minds. What kind of peace is possible in our world? Of course, we would like to have everyone stop killing one another. 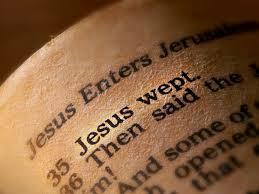 But the Bible wants to take the world much further than just the cessation of killing. People cannot fix the problem of violence and conflict because we are part of the problem. Rebellion has fragmented and broken Shalom. Shalom between ourselves and God, between ourselves and other people, between ourselves and creation; even peace within ourselves has been fragmented. We know violence breeds violence. Conflict spreads like a virus as we are seeing right now on our news. It does not just spread - it escalates and revenge multiplies violence (See Genesis 3-6). It starts with thoughts since thoughts become actions. You may say you have not acted violently, but even our thoughts fuel the fire in the spirit realm. We receive the capacity to love like God when we are in Christ and when we take every thought captive and clothe ourselves with love – we then reflect Christ – the peace bringer. This is the distinguishing mark that we are children of God! The radical reflection of this love is Jesus on the Cross. As we remember his love this Easter, we need to ask God to help us to be peace bringers, to love unconditionally and to reflect Shalom. 3) We cannot love like Jesus without knowing the truth of how much God loves us – we need to take time with God to be filled with His truth and love and peace. 4) Train yourself to take every thought captive and submit this to Jesus, so that His Shalom replaces it. Let the Holy Spirit fill your mind with truth. 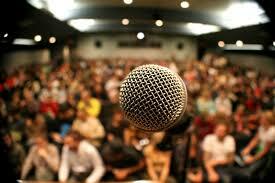 Do you have reflections or thoughts on peace and conflict that you wou would like to share? Why not consider submitting a paper for our Global Consultation: Integral Mission and Shalom: justice, peace, joy ? 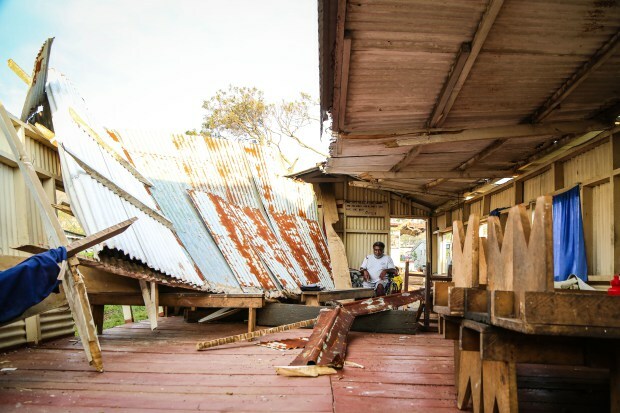 Cyclone Pam hit Vanuatu (South Pacific) on March 14th leaving behind significant devastation including several deaths, tens of thousands of damaged homes and contaminated water supplies. We give thanks for aid and relief supplies which are already being distributed in affected communities. We acknowledge that the recovery efforts will take years as communities seek to rebuild infrastructure as well as build their preparedness in the future. We pray that God will use the local church as an instrument of comfort, of healing and of restoration in communities. God of Creation, through your renewing Spirit, inspire resilience in the people of Vanuatu, as they continue to hope, plan and build a sustainable future. Yemen: Saudi-led coalition bomb a part of Sanaa – Lord, Yemen seems to be spiralling into chaos – remember your promise to care for the poor and vulnerable Lord – protect them we pray. Germanwings Crash: 150 lives lost – Lord we weep with those who weep. Syrian Conflict: fighting continues without abate – Lord in your mercy raise up people of peace to bring an end to this conflict. Sierra Leone: as more Ebola cases are reported and the country goes into lock-down, Lord we ask you healing mercy to pour down and bring an end to this outbreak. Comfort all who mourn their loved ones. Our hosts from Paz y Esperanza, Ruth Alvarado and Alfonso Wieland, will meet with Sheryl Haw in Lima from 30th March to 3rd April to work on logistics. A creative space for our Consultation worship team to plan, explore and compose will take place in Spain from 7th to 10th April. Pray for inspiration. Programme development: ongoing preparation and planning of workshops and materials. Finances: fund raising to secure support for all aspects of the consultation. Registrations: for a really good meeting we need to have you all there with us – please plan and register early. With the merger of Micah Network and Micah Challenge in December 2014, Micah is currently researching and developing a new governance structure. Please pray for Matthew Maury (Tear Australia Director) who chairs the governance committee as they deliberate on this. Coupled to restructuring the Board of Micah, the merger also involves launching a recruitment process for the position of International Director of Micah Global. The deadline for applications is 17th April 2015. Please pray for the recruitment committee as they deliberate on this. For more information, see here. Please submit your prayer requests to prayer@micahnetwork.org.